Home » News and Views » Ian Pollard – Wizz Air #WIZZ increases capacity by 20% and fills it! Ian Pollard – Wizz Air #WIZZ increases capacity by 20% and fills it! By Ian Pollard in News and Views, Uncategorized on 3rd July 2018 . RM plc RM The first six months to the 31st May has seen good progress in each of the three divisions with revenue rising by 33.1% and statutory operating profit up by 78.4%. The interim dividend is to be increased by15% and the Board is confident of at least meeting full year expectations. Andalas Energy ADL The appointment of a New CEO and a new Chairman resulted in the imposition of greater financial discipline during the year to the 30th April The operating loss was reduced by 73% to $1,161,000 from 2017’s $4,317,000. The company has reviewed its operations and restructured its business.and claims it is now in a good position to reap the benefits of its new strategy. 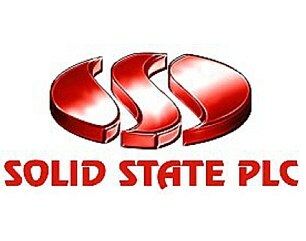 Solid State plc SOLI delivered a combination of strong organic revenue growth and strategic re-organisation in the year to the 30th April. Revenue rose by 16% but adjusted operating profit fell by 4%. During the first two months of the financial year the order book was strong and as at the 31 May stood at a record level of £23.0m, up 11% on the previous year. The dividend remains unchanged at 12p. per share.